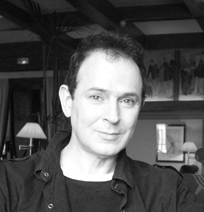 A French composer born July 26, 1952 in Sfax. After having studied with Francisco Guerrero and György Ligeti, Christian Lauba continued his music studies at the Bordeaux Conservatory in the class of Michel Fusté-Lambezat. Winning a First Prize in the International Berlin Composition Competition in 1994, he was jury president for the International Gaudeamus Composition Competition in 1996. Years spent in contact with different cultures have left their imprint on his works. Like his model Ligeti he seeks a synthesis of styles. Open to the most varied influences, employing æsthetics and techniques as they present themselves to him, Christian Lauba has developed a deeply original language within which expressivity retains all its importance. Striving to reconnect with the melodic line, he claims to be close to the French tradition, with its clarity and its colours. Musical director of the Orchestre National Bordeaux Aquitaine from 2004 to 2006, frequently invited to give master classes and lectures in Europe and elsewhere, he is the composer of a body of works that reveal his interest in the most varied of formations, from soloist to orchestra. His works include Brasil sem fim (1990), the Neuf études for saxophone (1992-1994), Morphing (1999) and Bogor (2004). Born in Sfax (Tunisia) in 1952, Christian Lauba had an unusual trajectory, meeting successively Francisco Guerrero in Madrid, György Ligeti and Michel Fusté-Lambezat, whose composition class he entered at the Bordeaux Conservatory at the age of 28. Divided between North Africa and Martinique, the first 18 years of his life greatly contributed to fashioning his musical language. Growing up in an environment of Arab, European, Jewish and American music, he gained a close acquaintance with the traditional repertory. This latter formed the main part of his aural environment, within which he found matter for nurturing his composition. The rhythms, but also the choice of intervals, came to him in great measure from North Africa. His style, according to the composer, is the result of all the influences that “cradled [his] childhood”. Winner of a First Prize in the International Berlin Composition Competition (‘für neue Musik’) in 1994 and the Prize of the Sacem (Études for saxophones), Christian Lauba has given, as jury president of the International Gaudeamus Composition Competition 1996, masterclasses at Apeldoorn and Amsterdam as well as lectures at the universities of Chicago, Bowling-Green, Maryland (USA), Winnipeg (Canada) and Sao Paulo (Brazil). Musical director of the Orchestre National Bordeaux Aquitaine from 2004 to 2006, he also taught analysis at the Bordeaux Conservatory. His output consists of some 60 pieces including many commissions notably from the French state and from ensembles of contemporary music. Opera (Garonne, 1987), oratorio (Marchands de sable et de vagues – Marco Polo, 1993), music for orchestra (Hoggar, 1995), for ensemble (Ryt, 1996) and for chamber groups (Morphing, 1999), the solo repertory (Awabi, for flute, 2006): Christian Lauba boldly ventures into the most varied domains, including film music (Bessie à Broadway by Franck Capra, Au bonheur des dames by Julien Duvivier, La petite fille aux allumettes and Le tournoi dans la cité by Jean Renoir). This in no way prevents him from cultivating this or that repertory in particular. This can be seen in his output for saxophone, to which he has contributed many pieces (Reflets, 1986, for saxophone quartet; Les 7 îles, 1988, for 12 saxophones and piano; Hard, 1988, for solo tenor saxophone; Rif, 1990, for small ensemble and saxophones; Dies Irae, 1991, for saxophone and organ; Balafon, 1992, for alto saxophone; Dream in a bar, 1992, for baritone saxophone and percussion; Neuf études for saxophones, 1992-1994; Tadj, 1993 for soprano saxophone; Études for all saxophones, 1996; Stan, 2001, for baritone saxophone and synthesiser, etc.). To understand the instrument, to invent a suitable language for it: these are a few of the issues that capture Lauba’s attention. For him, instrumental research is always of paramount interest. If there is one art, finally, with which Lauba likes to get to grips, it is that of stylistic synthesis. György Ligeti, in whose music the micro-intervals stem from Hungarian and Romanian traditional music, remains more than ever a model for him in this regard. For Lauba, the compositional act must not be afraid of paying attention to the most diverse sources. Beyond his own experience, extra-European music (Asiatic, African, etc.) have been a notable influence on him as can be seen in his works. Brasil sem fim is an example, one in which the composer uses genuine rhythms from Brazil and denounces what he considers to be branches of minimalism. Among the elements that create the originality of his language, one should notice a propensity for a style that advances through synthesis while remaining open to different types of traditional music and a predilection for certain modes of play (dynamics, tone-colours, attacks, rhythms). His music is frequently played today and the composer has been on many residences (with the Orchestre Symphonique de Mulhouse, in collaboration with La Filature, 2007-2008), notably with festivals (Musique sur Ciel, Semaines musicales de Quimper, etc.). Création : 11/04/1996 – Quatuor vocal Michel Tranchant, Jean-Philippe Guillo. Quatuor à cordes no 2 "Morphing"
Création : 12/11/2000 – Kammerphilharmonie des Mitteldeutschen Rundfunks. Création : 30/03/1999 – Percussions de La Haye et Aurelia Saxofoonkwartet. FALCINELLI Sylviane. Christian Lauba ou la lucidité en action. L'éducation musicale, no 509/510, p. 34-36.